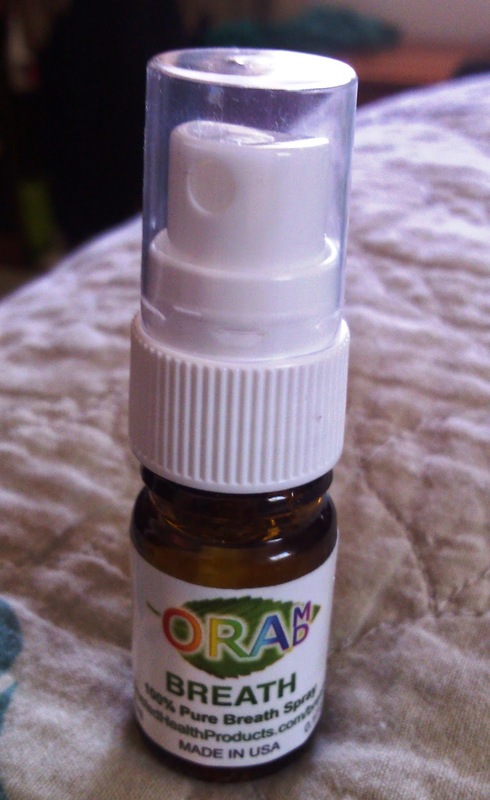 OraMD Breath is a breath spray made of 100% natural ingredients that kills the cause of bad breath at the source. Instead of just masking breath with flavored sprays or mints, OraMD Breath actually cleans and freshens the mouth with 100% pure almond, spearmint, and peppermint essential oils. There are no other chemicals, additives, sugars or alcohols included; just the three oils, which are also clinically proven to kill periodontal bacteria according to a clinical study at the University of Kentucky. So not only does this product freshen breath, but it kills germs and helps keep your mouth healthy and clean. Essential oils are really wonderful because they are completely natural and pack so many healing and cleansing properties in just a drop or two. I love OraMD as a toothpaste alternative (which is made of the same ingredients), so I was really excited to try OraMD Breath from Trusted Health Products. 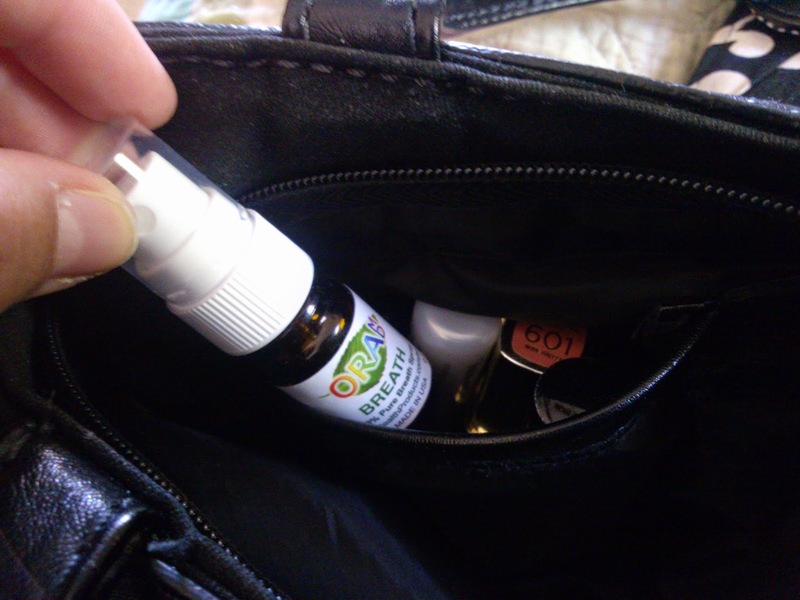 It comes in a little spray bottle - .17 oz - and is the perfect size to fit in my purse. It's about the same size as a lipstick, so I stick it in my purse right next to my lip products. I really like how small and travel-friendly it is. And even though it is such a small bottle, it doesn't run out very quickly because just one spray freshens my breath like crazy and lasts a long time. Plus, I can refill it with my OraMD bottle if I need to. This is definitely a strong breath spray since it doesn't have any sugar or other flavorings (which, by the way, can contribute to bacteria growth or tooth decay.) But it's very effective by removing the bad breath instead of just masking it. At first, it was like a shock to my mouth since it is so strong, but after awhile I got used to it. Plus, I found that - at least at first - it helped to have some water handy to sip on afterward, just to tame the mint taste a bit. But man, does it do the job! I use this before meetings at work and any other close personal interactions. It is the perfect item to have along on a date too - small and discreet. If you want to freshen your breath with a natural, effective product that is good for your mouth, choose OraMD Breath spray.